The natural desire to move out of my parent’s house began a whole new chapter in my life. I was 19, going on 20 when my friend, Clint, and I decided to buy a house together. We had each saved about $8,000 for a down payment and found a Realtor who would also serve as our mortgage broker. After a lot of offers, we finally found a house in Citrus Heights, a suburb of Sacramento. It was a three-bedroom, two bath, suburban-style, single-family home. It needed some work, but it was a decent place in a different part of town from where we lived with my parents. I had just turned 20 years old when we closed on the home. What’s ironic is the day we moved in was the same day Clint and I had all four of our wisdom teeth removed. Didn’t wisdom teeth signify wisdom? My mother, like any mother, worried about me. She didn’t say I shouldn’t buy the house, but the big financial risk concerned her. After all, Clint and I were servers at restaurants. We didn’t have predictable, steady incomes. How were we going to make the monthly mortgage payments? But it was important that I purchased the home on my own and so I forged on without a cent or advice from my parents. Before closing, we had asked our Realtor about getting a home inspection. Of course, it’s highly advisable to have a home inspection and to purchase a home warranty, but we didn’t know that. The cost was a lot of money to us. It was equivalent to a week of hard work at the restaurant. Anxious to help us save money, she told us that we didn’t need them. “All it will tell you is what type of dishwasher you have,” she said. “Nothing will go wrong.” So we decided to forgo a home inspection and warranty without confiding in our parents. Unfortunately, we should have because we ended up making a huge mistake. The day we moved in, we discovered that we had to replace the hot water heater. We called to see what our options were and learned that we didn’t have any. 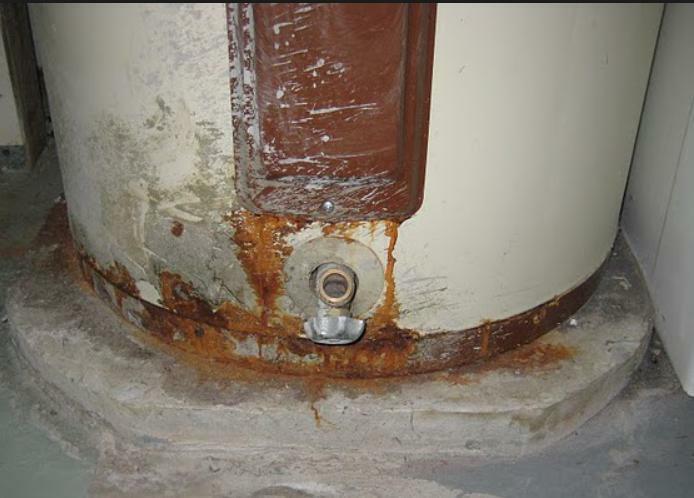 We could have replaced the water heater for free if we had gotten an inspection and purchased a home warranty. Instead, we ended up forking out over $1000 to buy a new one. In the end, our Realtor did not do a good job. I knew what she made on the deal, handling both the loan and sale. It amounted to about $16,000. I thought, “If this Realtor can do a bad job and make $16,000, what could I make if I did an amazing job?” I knew I could do better and immediately began brainstorming solutions to the problems that we encountered. That’s when I decided to leave college. I continued to work at the restaurant but I spent much of my time studying for my real estate license. After five weeks of studying, I took the exam and passed. You’ll NEVER guess what happened next! Why did you get into real estate? Leave it in the comments or tweet me!